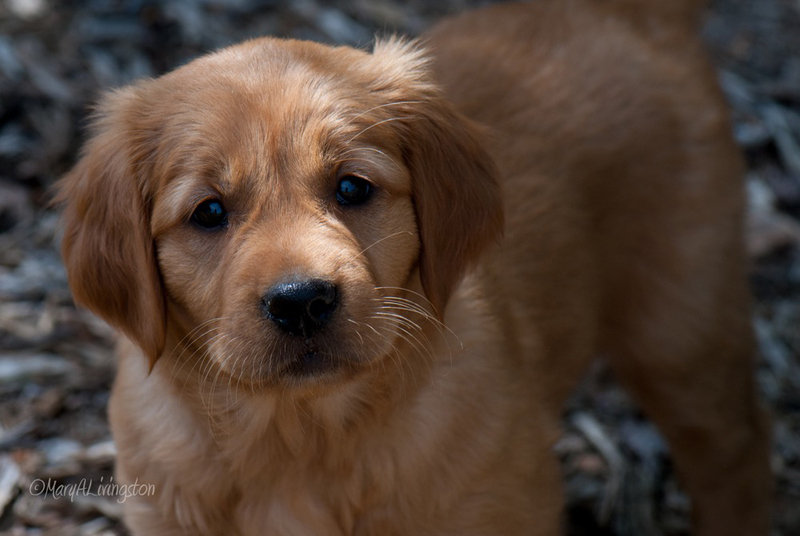 This entry was posted in Traveling Companions and tagged bliss, dogs, golden, golden retriever, puppy, retriever by foresterartist. Bookmark the permalink. How wonderful for you both. She really lives up to her name. May you all be very happy together for a very long time. Thanks Leonie, I hope she lives up to it to. Right now she seem to live up to something that rhymes with Bliss. House breaking is going slowly. Exploring puppy style and looking so at home in the water already too , what fun times ahead ! Thanks Poppy. Bliss is a firecracker. I look forward to her accompanying me to work. Bliss is a natural fit – she took across that creek like it it was a mere puddle!! She’s pretty brave for a little squirt. Love the choice of name. Perfect! Great video production and fun too. Enjoy your Bliss. We are enjoying her very much. Oh, how precious! My Cody is a Golden Retriever/German Shepherd mix (SPCA adoption), but she’s no longer a puppy. 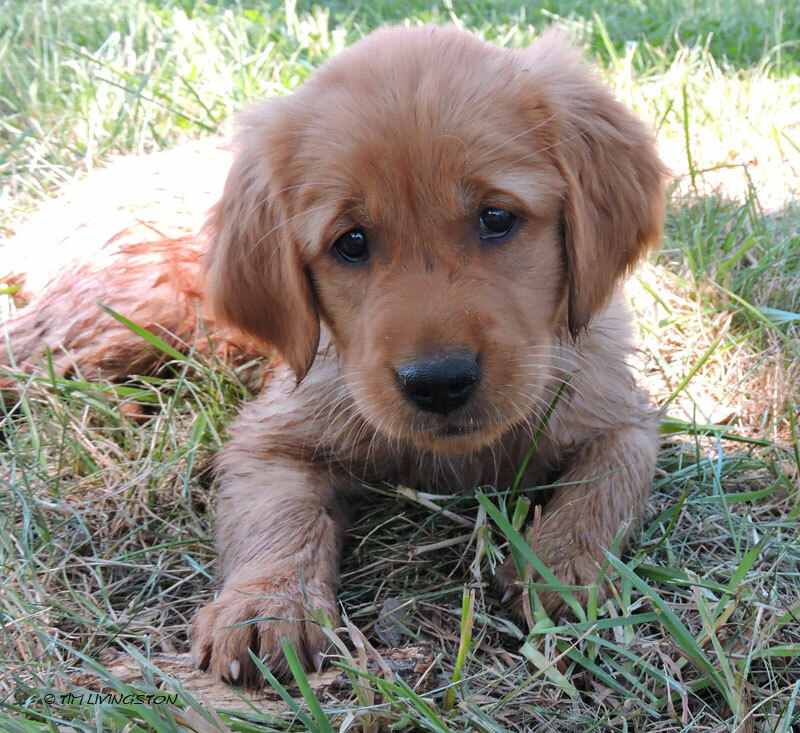 Your photos and video almost make me want a second puppy (notice I said “almost”). Bliss is going to have a wonderful life in her new home. They are wonderful aren’t they. Bliss is a bit of a wild child. Cody was, too. But all of a sudden at 9 months, she decided to be a “big dog” and we’ve had few problems since then. Do you think it hurts to be that cute? I’m so excited for you both to have this lovely new addition! It’s going to be fun to watch her grow up. Sooo cute! We have to get her together with Nellie for some pheasants! Been waiting to see the little one and what a beautiful puppy. Miss Bliss is so beautiful loved watching the video takes of her first days with you guys. 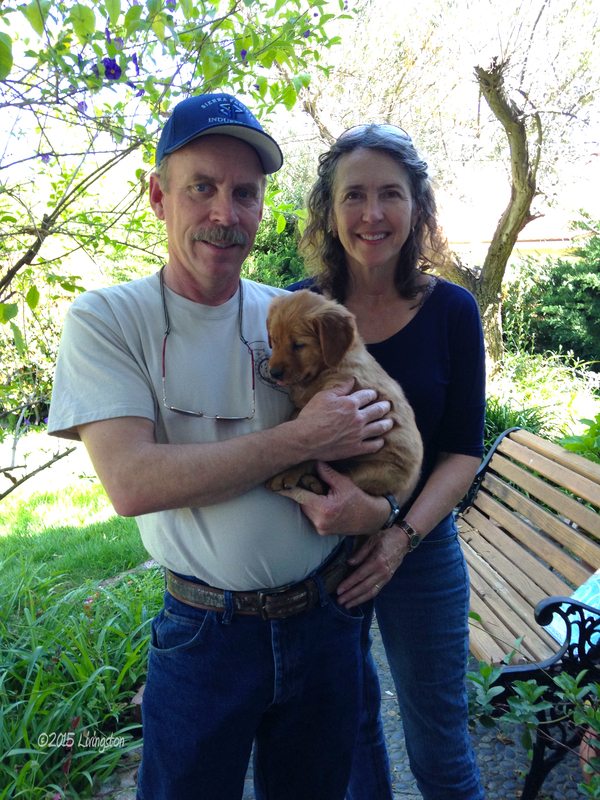 From all indications she is going to be a wonderful hunting dog and family pet – she’s so lucky. Congratulations Tim and Mary she is a sweet addition to your family!! Thank you Mary! She is precious. She is a brave little thing and plays like a wild beast! She’s so cute Tim – I love those tired baggy eyes. She going to have you and Mary going 100 mph! I think she already has! Thank you Cher. She is special little thing. You’ll get to see much more of her! Thanks Terry! We’re very happy and lucky to have her. So cuuuuttteeee and how lovely! Thank you so much Violet! You’ll definitely see more of her. Malus will have some company! It was good to hear this cheerful music while watching. Mary put it together and clearly had fun doing it. So happy for both of you and that little Bliss is soooooo cute. Loved all of the photographs of her too! So happy for both of you! That little Bliss is soooooooooo cute. She will have a wonderful life with you two and Sailor. Loved the video of her too! Thanks Walt and Bee! She is a cutie! Such an adorable little thing! Congrats and wishing you many happy times together ahead. Thanks, we’ve got lots of memories to make. Somehow we always know when the time is right to welcome a new dog into our lives. Looks like this cutie will have no problem living up to the Lab reputation as a water dog. It’s the right time for us. Now we’ve got our hands full! She’s a keeper! It’s funny to watch her swim. She has to build up her courage before going in. She looks like a confident little mermaid! Bliss indeed! Thanks for sharing! She has been bravely venturing into the water. In fact it’s 90 degrees here today. We’re going to take her swimming! Ooh, so cute. And in the water already. She’s going to have a great and interesting life with you. She’s already making our lives more interesting. She looks so sweet, but she’s such a sassy little thing. Wow, what a gorgeous little soul! I agree with what many others have said: she will have a very good life with you two! Was there a Bliss in your family before? I seem to remember the name so well, or did I only dream that…? Anyway, sounds like the most perfect name ever for her! That’s so nice of you to say Gunilla. Our girl that we lost last year was Blitz, very close to Bliss. I wasn’t going to use that name, because they were so much alike. Since She passed we decide to use Bliss. Thanks, I think she’s pretty special.